Built-in heart rate sensor works in real time to help you exercise more efficiently, track calories burned, and measure your sleep quality more precisely. Convenient LED indicator informs you if you are performingaerobic exercise or are overexerting yourself. Learn about your sleep patterns and quality to feel your best. An easy-to-understand rating of overall wellbeing based on your amount of exercise and sleep quality. 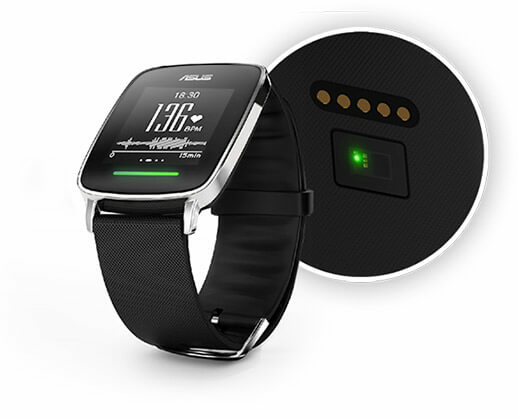 ASUS VivoWatch measures your heart rate 24 hours a day to accurately track your physical activity and sleep. Regular aerobic exercise provides numerous health benefits. ASUS VivoWatch has a convenient LED indicator that turns green when you are doing aerobic exercise and burning calories. If you push yourself to the limit, the indicator alerts you by turning red. Ensure you are getting the rest you need to feel your best every day. 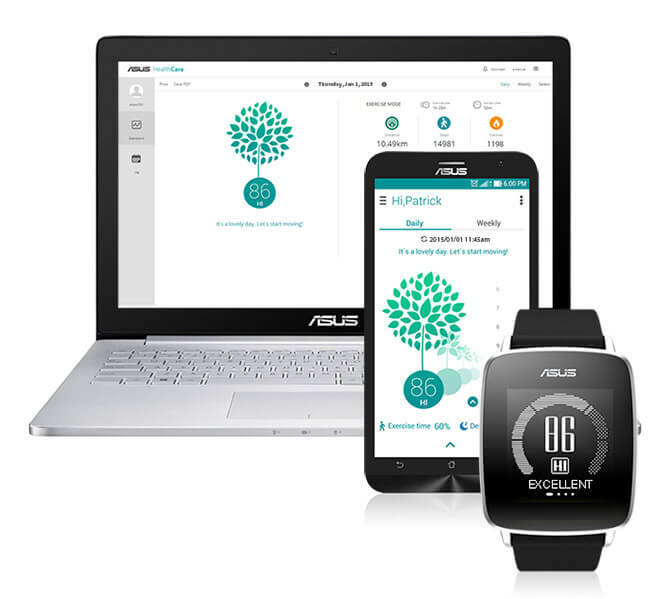 ASUS VivoWatch measures and analyzes your heart rate, sleep time, and how much you toss and turn to give you an insightful look into your sleep quality. ASUS VivoWatch also helps you wake up easily each morning with a gentle, vibrating alarm. The Happiness Index (HI) is a simple numeric score based on your sleep and exercise measurements that provides a quick summary of the overall healthiness of your lifestyle. Nothing is more important that the health and happiness of the people you care about. Using the ASUS HiVivo app or ASUS Healthcare website, you can easily stay up-to-date with the wellness of loved ones who wear ASUS VivoWatch, no matter where they live. 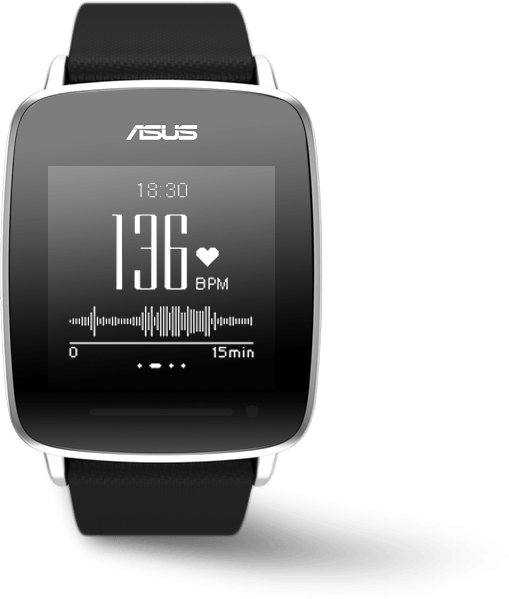 ASUS VivoWatch delivers 10-day battery life in normal mode and up to 24 hours in fitness mode with active heart rate tracking. ASUS VivoWatch can be submerged in up to 1 meter of water for 30 minutes, so you can wear it all day, even when showering.